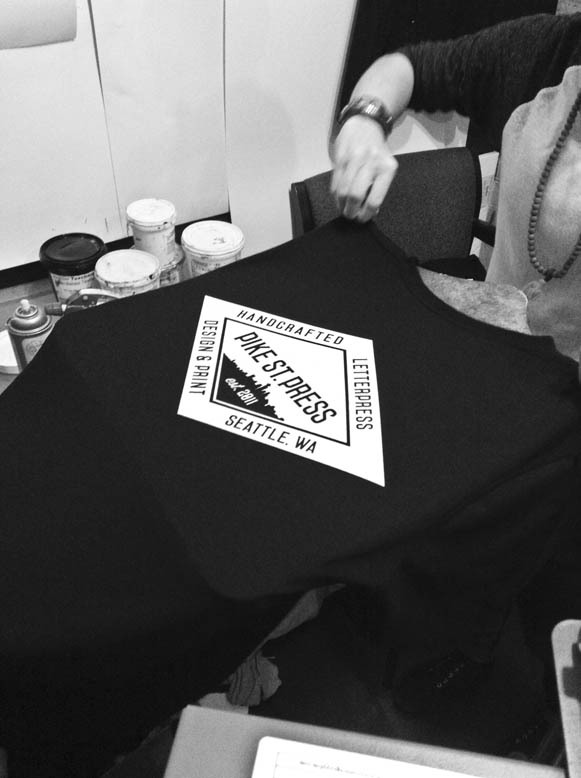 photo above: Sarah Russell our designer just screen printing for her first time! 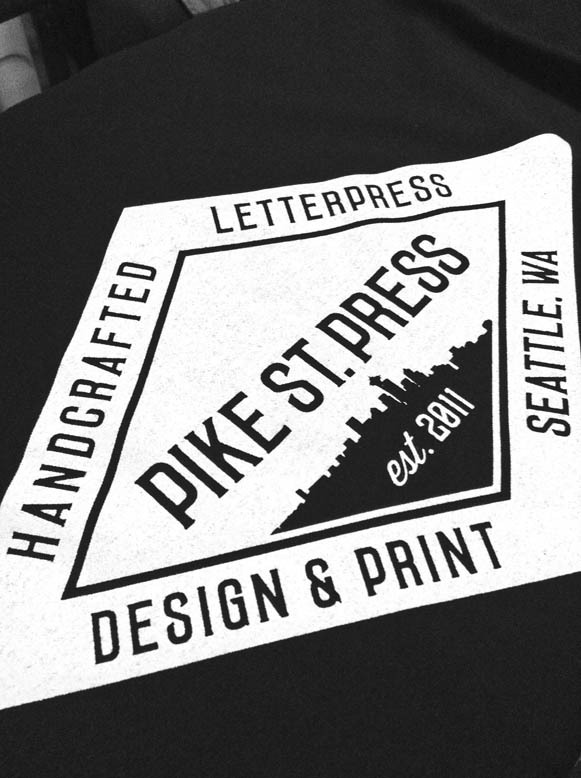 We designed and printed some tee shirts using our small screen printing press we bought online. We often screen print bags and shirts for our promotional materials, and have screen printed a few small jobs for friends and family. We found that it is time consuming to set up the screen, but when it is finally set up, it can be very efficient for producing multiple prints (this very well depends on what type of press you are using for both). 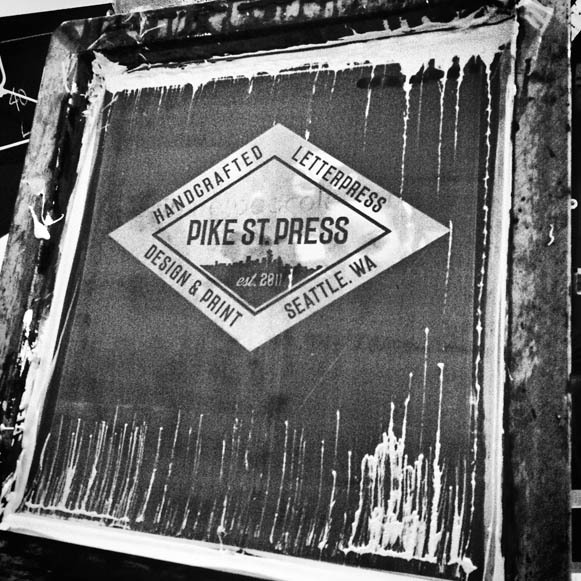 By no means are we “experts” in screen printing (yet!). We are definitely rookies but we found it to be very fun and hands on, which is right up our alley. When it comes to printing white (everyone loves white printing on black) it is very time consuming as it involved a “flash cure” before the final cure of the ink. Printing on dark garments, as we found out, is complicated when trying to achieve opacity and coverage of the printed area. But after many misprints and trial and error with the screen’s mesh and ink viscosity, we found our groove and produced some shirts for the studio!